Since the weather is getting warmer, and clothes are getting smaller, Mr. T and I have started to kick it into gear a bit with what we eat. We've started scaling down our portions and eating less of those oh-so-tasty empty carbs. I've been struggling to find carb-free substitutions for snacks, but I recently remembered two recipes I saw in Food and Wine Magazine last year for making your own beef jerky. Today I'm making black pepper jerky and Mexican lime jerky. Both recipes are pretty simple, and call for ingredients that most of us have already in our cabinets. 1. In a large bowl, combine the ale or lager with the soy sauce, Worcestershire sauce and the cracked black peppercorns. 2. Cut the beef into 1/4-inch-thick slices, either with or against the grain. 3. Add the beef to the marinade, a few slices at a time, stirring well to coat each slice with the marinade. Cover and refrigerate for 6 to 8 hours. 4. Preheat the oven to 200°. Set a large wire rack on each of 3 large rimmed baking sheets. 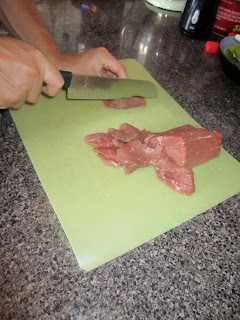 Remove the beef from the marinade and pat dry with paper towels. Arrange the beef on the racks, leaving 1/4 inch between slices. Sprinkle with coarsely ground black pepper. Bake for about 4 hours, until the jerky is firm and almost completely dry, but still chewy. Let cool completely on the racks before serving. 1. In a mini food processor, puree the seeded jalapeño along with 1/4 cup of the lime juice. Transfer the puree to a large bowl. Stir in the beer, soy sauce, the unseeded jalapeño and the remaining 3/4 cup of lime juice. 2. 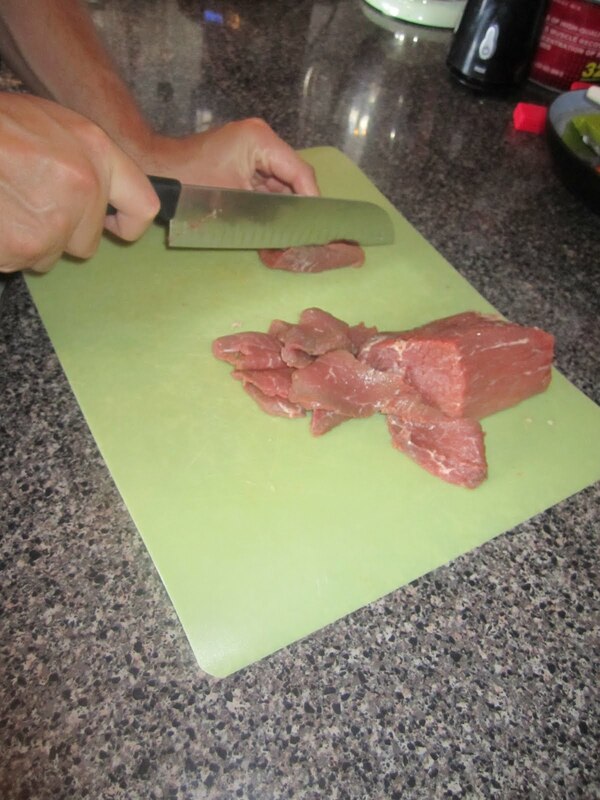 Take the beef and cut it into 1/4-inch-thick slices, either with or against the grain. 4. Preheat the oven to 200°. Set a large wire rack on each of 3 large rimmed baking sheets. Remove the beef from the marinade and pat dry with paper towels. Arrange the beef on the racks, leaving 1/4 inch between slices. Sprinkle with coarse salt. Bake for about 4 hours, until the jerky is firm and almost completely dry, but still chewy. Let cool completely on the racks before serving. Beef jerky can be refrigerated in an airtight container for up to 6 weeks.